According to a study recently published by IAB Spain (the association of digital advertising and marketing Spain), youtubers could contribute a lot to your digital marketing strategy. Their data indicates that 90% of Internet users watch videos online and YouTube is their favorite channel to do so. In addition, one in four of them watch youtubers videos, which are major influencers and content creators on this network. The youtubers are especially interesting in marketing strategies in the areas of humor, beauty, fashion, music, video games and food. In general, they are better known among young audiences, as one in three users aged 16 to 29 see their videos. But who are the biggest influencers of Youtube in our country according to the IAB study? The Rubiusomg. "The Rubius" is the most followed Youtuber in our country and the 19th worldwide, with over 14 million subscribers. His channel focuses primarily on video games, using a lot of humor. The second most popular Spanish Youtuber, also speaks mainly about video games. The channel is followed by over 11 million people. 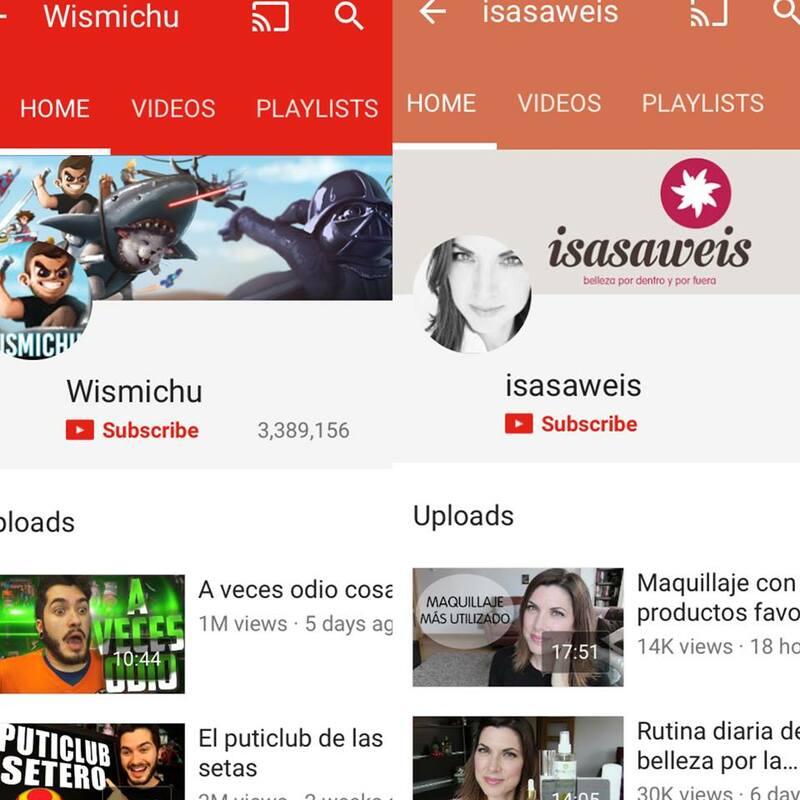 Catalan Youtuber, which has approximately 2.5 million followers. His videos humorously discussed other influencers of this network and Internet content. He also talks about social issues today. Without doubt, the most popular topics of cosmetics, beauty and health of Spain. The profile contains makeup tutorials, product recommendations and all kinds of lifestyle advice. Another young star of Youtube that focuses on content and humor with prank calls or videos of Chatroullette. Knowing clearly what market sector you are in and where your brand is moving, you can do an intensive search among youtubers to have more influence at the local, national and international level, to integrate these powerful media figures into your digital advertising strategy. Collaborating with youtubers is a great opportunity to launch native advertising strategies. Faced with more invasive tools such as banners or in-stream advertisements on Youtube, native advertising "sneaks" in entertaining content to amuse the users and / or provide useful information. Thanks to the rise of ad blockers, invasive formats are increasingly losing effectiveness against these strategies. So if you want your collaboration with youtubers to go further, do not limit yourself to asking their opinion on your products. Choose someone who can really connect with your brand and sit together to find ideas to create an unforgettable video. Surely the results will be worthwhile.